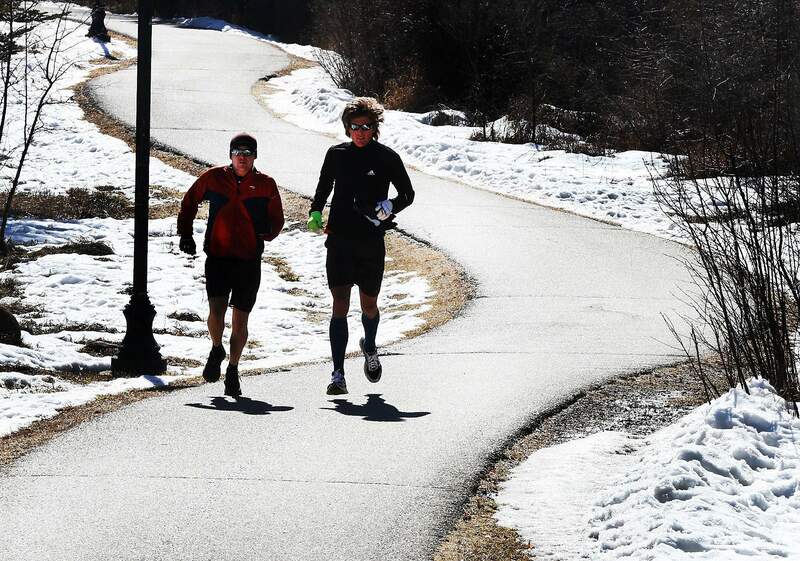 Shane Kersten, left, and Dylan Peterson use the Animas River Trail. Survey results showed a willingness on the part of residents to pay for expansions of the Animas River Trail. When it comes to prioritizing parks and recreation spending in Durango, residents say they are most willing to support extending the Animas River Trail, purchasing land for recreation, and maintaining buildings and green space. Survey responses and other feedback will inform an update to the city’s Parks, Open Space, Trails and Recreation Master Plan – a document that guides parks and recreation spending and programing. The department expects to spend about $8 million in 2018 on operations, said Parks and Recreation Director Cathy Metz. PROS consulting, a firm hired by the city, is about halfway through an update to the master plan and expects revisions to be complete by end of the year. Durango City Council will adopt the document when it is complete. The city received nearly 1,600 responses, which included mailed surveys and two online surveys, said Neelay Bhatt, with PROS Consulting. “That’s exceptionally high numbers for a population your size,” he said. He noted there may be some duplication in responses because residents could provide feedback in multiple ways. The survey was mailed to thousands of residents, and the city received almost 500 responses from the mailing. “This is more reflective of the community and the broader community’s needs and priorities, and not just some interest groups,” Bhatt said. When it comes to opportunities for recreational amenities, the city’s highest priorities should be lake recreation, hard- and soft-surface trails, river recreation, and off-leash dog parks, according to responses. The city plans to open Lake Nighthorse on April 1, a major step toward providing lake recreation. Trails ranked No. 1 among residents about 10 years ago, so the latest survey results, which ranked trails highly, did not surprise Trails 2000 Executive Director Mary Monroe Brown. “We know our community loves to get outdoors,” she said. Plenty of opportunities exist to improve trail connections between neighborhoods, she said, and the updated parks and rec plan should honor those desires for more trails. Consultants found adult fitness and wellness programs, special events and festivals, and camping and backpacking were the highest priority programs for the community. The city doesn’t offer camping and backpacking programs, but there is clearly an interest in adding those programs to its offerings, Metz said. The conversation about camping came up during meetings focused on a proposed multiuse events center on Ewing Mesa, she said. Those who bring livestock to town would like to stay near their animals, she said. The survey also showed many residents value taking care of what the city already owns. If survey respondents were given $100 to spend on parks and recreation, they would spend $31 on maintenance, $21 on trail expansion, $18 on land acquisition, $18 on habitat protection, $8 on education, and $3 on other expenses. The most valued future amenities were Lake Nighthorse, additional trails, an outdoor swimming pool and water park, a new community events space, and a new recreation center. Fewer people placed a high value on a new bike park, a new indoor ice rink, a new indoor turf facility, outdoor pickleball courts, additional tennis courts and a BMX course. The community was split on the need for more indoor recreation space. Survey results found about 44 percent of people believe there is a need for indoor space and 53 percent do not. The consultants plan to further assess the need for indoor recreation space as part of the planning process, Bhatt said. Metz said the city asked consultants to look at this issue in part because the Mason Center is at the end of its useful life, but the city still relies on the space for its summer child care program. The consultants also plan to map the city’s parks system to make sure parks are accessible to all residents.